Three years ago, 40 per cent of HDFC Mutual Fund's equity portfolio was underperforming its benchmark. The fund house had booked profits in many FMCG and pharmaceutical stocks as its fund managers - led by Chief Investment Officer (CIO) Prashant Jain - felt these sectors were overvalued. Instead, they bet on stocks focused on infrastructure. The call initially seemed a mistake as infrastructure-related stocks remained sluggish, while FMCG and pharmaceutical sectors continued to rally. HDFC Mutual Fund suffered, losing its No. 1 position among equity funds. "We did temporarily lose out by taking that call," says a senior official at the fund on condition of anonymity. But there was no panic reversal of strategy. HDFC Mutual Fund stuck to its guns, continuing with the spread it had banked on. In time, it paid off. A year ago, FMCG stocks, after a spectacular rise, began to taper off, just as the fund managers had suspected, while pharmaceutical stocks were hit by the US Food and Drug Administration actions related to quality and pricing issues. Some pharmaceutical stocks have fallen 50 per cent in the past one year. Indeed, 100 per cent of HDFC Mutual Fund's equity funds have beaten their benchmark in the last one year, and 97.5 per cent for a period of three years and five years. "We did not hesitate to book profits when valuations crossed our expectations," says another HDFC insider, who does not want to be named. "We did not get euphoric when FMCG or pharmaceutical stocks began shooting up." Picking stocks is not an easy job in the best of times. 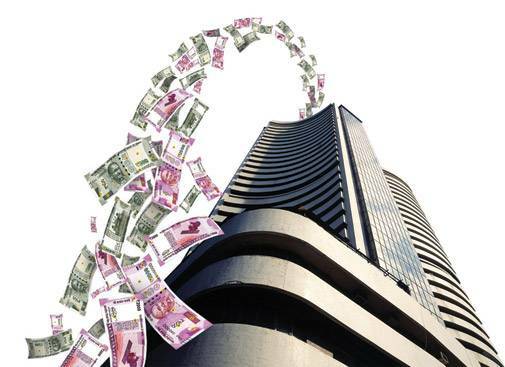 And when the stock market is booming like it is at this stage and equity funds are being flooded with cash from investors - systematic investment plans (SIPs) are seeing inflows of around `4,200 crore every month, as against `1,500 crore per month a year ago - the job of fund managers becomes even more difficult. The reason is lack of good companies trading at reasonable valuations as all stocks, both good and the not-so-good, have already risen, and so are less likely to deliver positive returns in the short term (see Performance Blues). To make matters worse, they do not have the luxury of not investing, as holding cash has its own opportunity costs. In such a scenario, the fund managers are finding innovative ways to stay ahead of the curve. Jinesh Gopani, Head (Equity), Axis Mutual Fund, has a simple formula - pick companies with sound management principles focused on the India growth story. "The inflow has been good, but the fund manager should be judicious and know where to invest to build a long-term portfolio," he says. "I don't spend sleepless nights because I believe in the India growth story and choose companies which will be tomorrow's stars and create shareholder value. If you don't compromise on quality, you won't make mistakes. With good companies, the beauty is that even if the stock goes down temporarily, it always bounces back. There is no capital loss, irrespective of the price at which the stock was bought." I.V. Subramaniam, Director, Quantum Mutual Fund, does not think the inflow of cash is excessively large and believes it is okay to keep buying. "Though we are sitting on 14 per cent cash, it is nowhere close to our previous high, when we held cash of around 30 per cent of the total equity portfolio," he says. "We are still buying as we still find value in IT and pharmaceutical stocks." 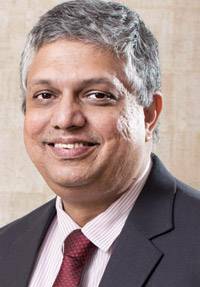 In contrast, S. Naren, Executive Director and CIO, ICICI Prudential AMC, maintains the time is ripe for caution. "Investors need to be prudent," he says. "There has been a convergence of good and bad stocks with both trading at similar valuations. It is necessary to keep a margin of safety. We have invested in large cap and quality stocks, which offer a relatively higher margin of safety." 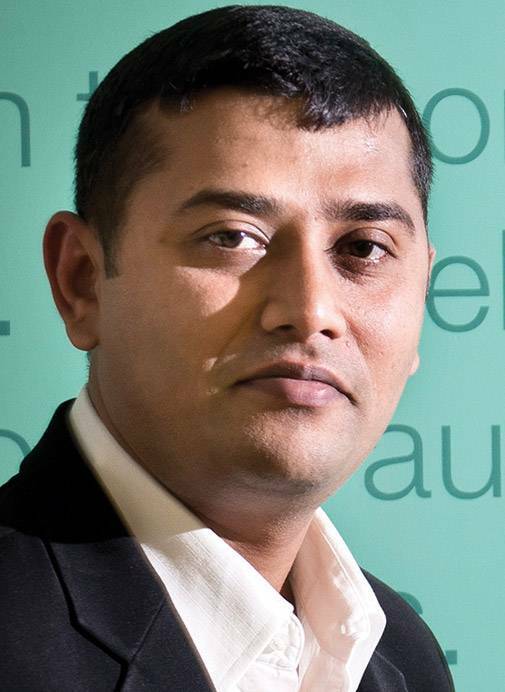 Naren has been advocating "dynamic asset allocation" funds for lump-sum investments. In such funds, allocations are based on the company's price-to-book value (P/BV) ratios. Naren has invested only 50 per cent funds in equities, with another 15 per cent going into derivatives, and the remaining 35 per cent in debt funds. The formula can be questioned, considering that 51 per cent open-ended equity funds of ICICI Prudential AMC have been underperforming their respective benchmarks for the past one year, but Naren is sticking to it. "As a fund house, we always look at stocks based on the risk-return tradeoff and valuations," he adds. "Finding value in the current market is difficult and one needs to be careful." An example of ICICI Prudential's caution is that it has reportedly pulled out of the stake in a private bank. Again, it is said to have picked Sun Pharma shares even though the company, like a number of other pharmaceutical companies, has been facing US pricing and currency pressures, because it believes it has quality management and a strong balance sheet, capable of weathering the current storm. ICICI Prudential refused to comment on individual stocks. Mahesh Patil, CIO (Equity), Birla SunLife Mutual Fund, believes that given the state of the market, research is vital. "We are strengthening our research team and also meeting more companies," he says. "This market requires a lot of work. In the last three-and-a-half years, our universe of stocks has increased from 260 to 400 companies." What criteria does he use, while deciding to invest? "We stay away from stocks whose fundamentals are shaky," he adds. "We may have lost out on short-term gains, but we cannot afford to take risks. We don't mind picking stocks which are slightly expensive, provided they have quality." Atul Bhole, Vice President, Investments, DSP BlackRock Mutual Fund, agrees. "One can pick quality stocks even if they are expensive, provided there is clear visibility on earnings' growth for the next three to five years, and the company is expected to grow 15-20 per cent per year," he says. "There is a chance of such stocks correcting; they may underperform for six to nine months, but once earnings improve, they catch up. Around 60-70 of our portfolio comprises such stocks." One mistake a number of funds have made is to book profits when a particular stock starts shooting up. 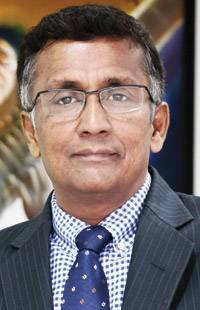 "One key lesson from the past is not to sell early," says Patil of Birla SunLife. "We try to envisage possible event risks, situations which can wipe out half the value of a stock overnight," says Gopani of Axis. "We've started maintaining low weightage across stocks, diversifying and sticking to our mandate to stay fully invested in companies that are scalable." Even so, Axis Mutual Fund restricts itself to 40 stocks. Bhole of BlackRock holds the same view. "We've kept single stock exposure at manageable levels (around 4 per cent)," he says. He makes special mention of opportunities in the secondary IPO market. "It's been a new opportunity where we have stocks of companies in retail, hospitality and health care sectors." Fund managers have also been doing off-market deals to avoid impact costs - the cost of executing a transaction on the market due to the prevailing liquidity condition of a stock. They have been picking up stocks through initial public offers or block deals - the latter being deals in which stocks are bought directly from the company or from private equity players. They keep in mind the liquidity risk and choose stocks that can be offloaded with a low impact cost if market conditions become difficult. "We have managed a fine balance between growth stocks and defensive stocks," says Patil. "Defensive stocks are not the kind that will outperform the sector, but they are stable and will limit any downslide. This is why, six months ago, we increased our exposure to FMCG and oil and gas stocks. We've brought down the volatility of our portfolio. In case of a market correction, we don't see underperformance happening on a large scale. We will continue to outperform the index on a relative basis." Patil has also taken contrarian bets in select companies in metal, capital goods and infrastructure sectors. "We looked for companies which were deleveraging and those generating positive cash flows. We've stayed away from power utilities and construction companies with high debt on their books." Hemant Rustagi, CEO, Wiseinvest Advisors, a Mumbai-based financial advisory firm that invests clients' money into mutual funds, says: "We are looking for a diversified portfolio for investors. So, when Prashant Jain's funds didn't do well, we didn't sell. Similarly, when Naren's funds aren't doing well, we are still invested with him. This is because their core investment philosophy is strong. They can go wrong in the short term, but if they are making money over the long term, we aren't worried. What we look at is the bottom line of the customer's portfolio. We also tell investors the same. We are bothered about how much annualised return the investor made and not individual fund-wise returns. " There is so much public money flowing into mutual funds that some have imposed restrictions on intake. DSP BlackRock, for instance, has stopped accepting subscriptions for its micro cap funds, while Reliance Mutual Fund has stopped accepting lump sums for its small-cap funds as it is getting difficult to find quality stocks in that segment. 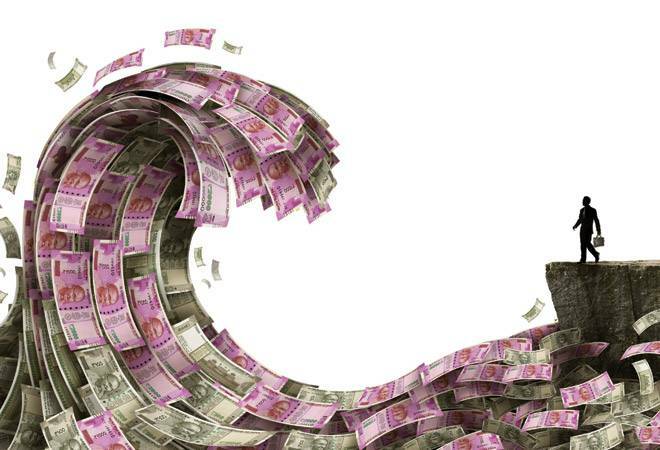 "We accept money only through SIPs," says Sunil Singhania, CIO (Equity), Reliance Mutual Fund. "We stopped fresh investment in our small-cap fund. Quite a few mid- and small-cap stocks are currently in the euphoric zone and we have to be careful. We've to live with volatility, but we're creating a portfolio that eschews undue risk. We pick stocks which have the potential to throw up surprises and thus create value." Retail investors in funds also need to moderate their expectations. "We're using all our experience to ensure that our overall portfolio is able to generate decent returns over a period of time," adds Singhania. "We can't make money on a daily basis. We're not in that business. We've told our investors that they should expect 15-20 per cent returns. On a post-tax basis, it is the highest across all asset categories." Patil of Birla SunLife is equally emphatic. "Return percentages will be in the mid-teens, no more than that," he says. Our funds will outperform the index, but it will be by three to four percentage points over the benchmark, not eight to 10 points as in the last three years," he says. For 2016/17, the Nifty recorded earnings per share growth of 4 per cent. Fund managers aver that despite the recent spike, the stock market as a whole is definitely not in a euphoric zone. "In the last three years, the return has been only 20 per cent," says Singhania. That is because all stakeholders are being cautious, but caution rules out the likelihood of the market tanking. The chances are of rising higher - even if slowly - rather than slipping. The sentiment is just the opposite of that in 2007/08, before the debilitating downturn, when stock valuations were high, sentiment bullish and earnings at their peak. Valuations are high once again, but stakeholders are being cautious this time, which certainly augurs well for the long run.